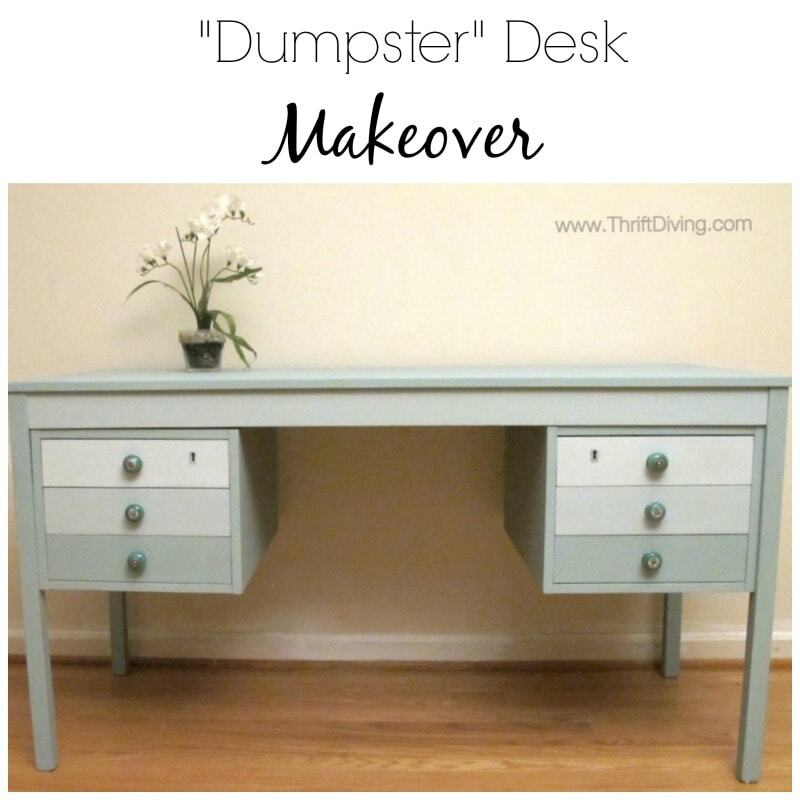 I always wonder why people throw away perfectly good furniture, like this dumpster desk makeover that I did. I can see if it’s infested with bed bugs. But it’s it’s a perfect sound piece of furniture, in my opinion, putting it out beside the trash should be the last resort. Are they too lazy to call the Salvation Army for a free pickup? Or do they just enjoy filling landfills with stuff that may never decompose? 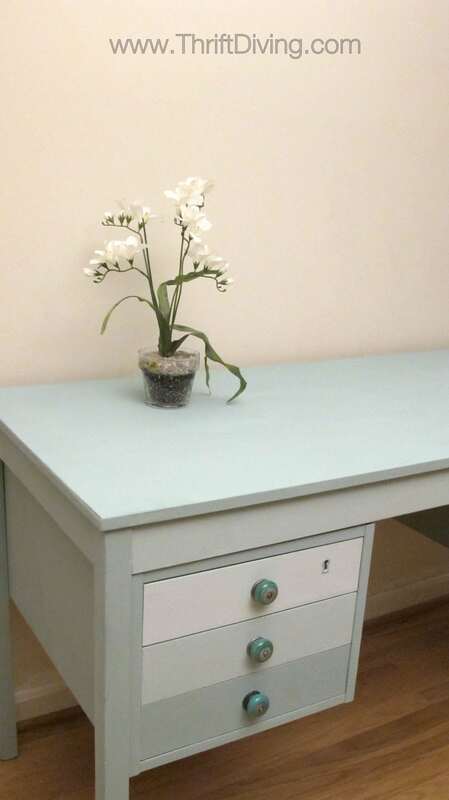 And that’s exactly what happened with this “dumpster desk”! When I found this desk years ago at our condo complex, it was sitting there, just as perfect as could be. It had all its drawers. I just took them out and stupid me forgot to put them back in for this picture :). But it really was in great condition. I stopped the car so fast, put it in Park, and lugged that baby up the sidewalk and down 2 sets of stairs just to put it in our storage unit. We didn’t have the space for it in our condo, but I knew one day we’d buy a house and it would serve its purpose for me. Glad I was able to save it twice! 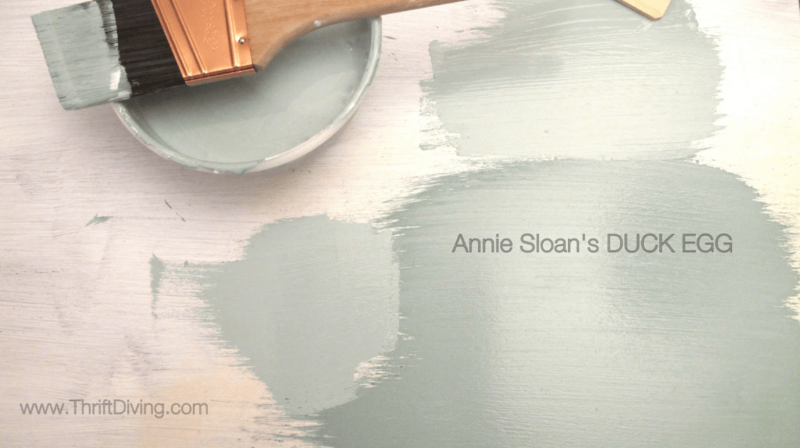 Annie Sloan is awesome because it doesn’t smell (read: you can paint inside and there aren’t any toxic fumes)….doesn’t require priming….sticks to nearly anything….blah, blah, blah. And it doesn’t matter that it costs $38 a quart. It’s my favorite! READ: What’s the Best Paint for Furniture? The PROs and CONs. 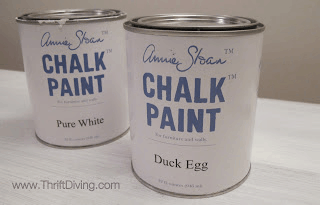 Because I was doing an ombre effect, I needed to mix the Pure White and Duck Egg. After playing around with it for a few minutes, I knew I wanted to lighten it up a bit, so I swirled in some Pure White into an old bowl filled with Duck Blue. 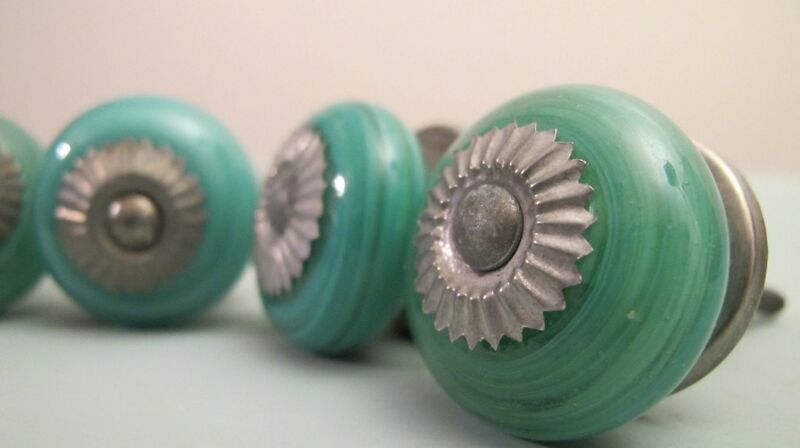 I had picked up these glass knobs from Antropologie when they were on sale. I knew they would be perfect for a future project. Normally, knobs like this go for about $8 or $9 each at that store, but I picked these up for about $2-$3 each. Love them! 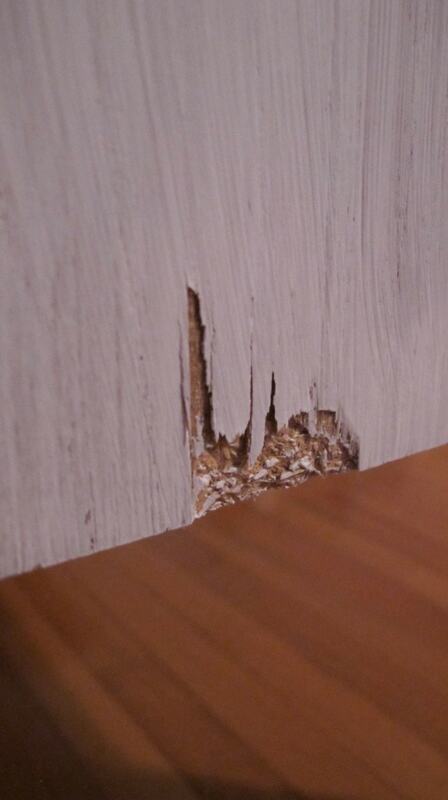 Nothing a little wood filler can’t fix, right? Be sure to glob it on, and let it dry completely. After it’s dry, sand it smooth so that it’s flush and even again. 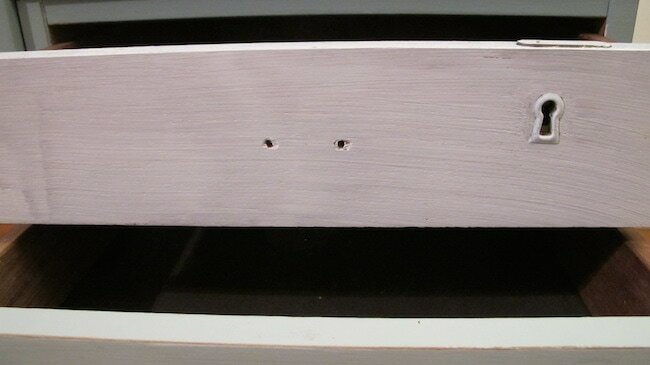 Because the previous knobs were 2-prong, like this…. 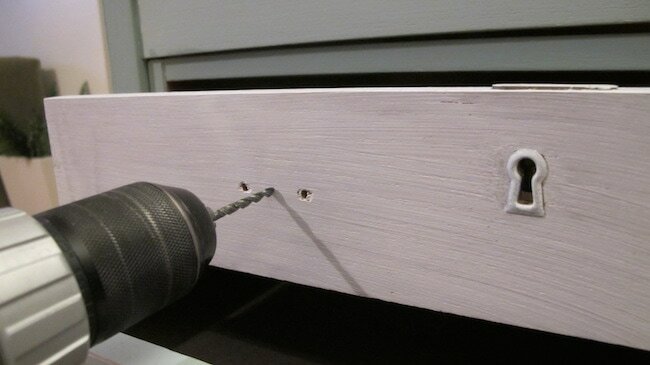 ….I had to drill a hole in the middle for the new knobs. Then I added wood filler to the old holes. 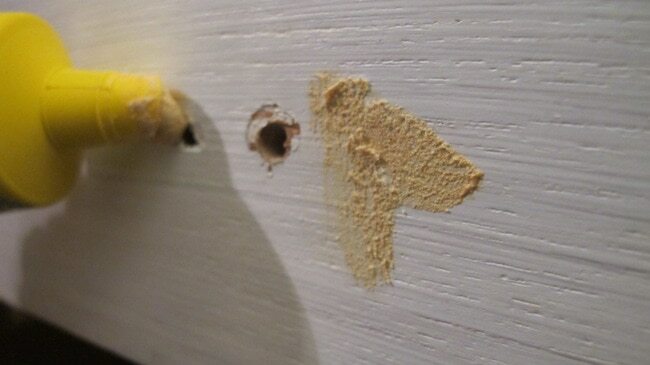 When it dried, I sanded it down, then slathered on a coat of paint over the drawer. Perfect! This is really one of my favorite projects because I get to use it daily! It still amazes me how you can take an old piece of discarded furniture and breathe new life and value into it again. Seriously……I just love paint :). I once was looking for an oak chair to match my antique roll top desk, and I wanted the chair to be in the same general period as the desk. I haunted tag sales and auction houses, putting my name in to antique dealers to get this chair. One day, stopping by my house on a break from work, I notice my across the street neighbor, who was moving, put out in his trash a perfectly good, albeit dusty, oak swivel chair! Two doors down from him, another neighbor was having a tag sale, so people were going slowly down our street. I spot the chair and two people in a car also spot the chair! I ran across the street, throw a couple of moving boxes into my neighbor’s house and yell, “Can I have your chair?” He yells back “yes!” and I run down his driveway, grab the chair, and without breaking stride, wheel it across the street, almost in front of the car! lol! Later, coming home from work, I take the chair outside on my patio, spray WD-40 on the legs and wheels since they were stiff and yucky. Then I wiped on some Scott’s Liquid Gold, and viola! A lovely and FREE, period appropriate oak swivel chair that Id been looking for for so long! My neighbor yells over at me, “Hey! Is that MY CHAIR? !” I said, “No! Its MY chair!” Now that it was working and clean, he wanted it back?! lol! Bravo girl! Great results & very original idea with the shade thing going on! And those knos!! 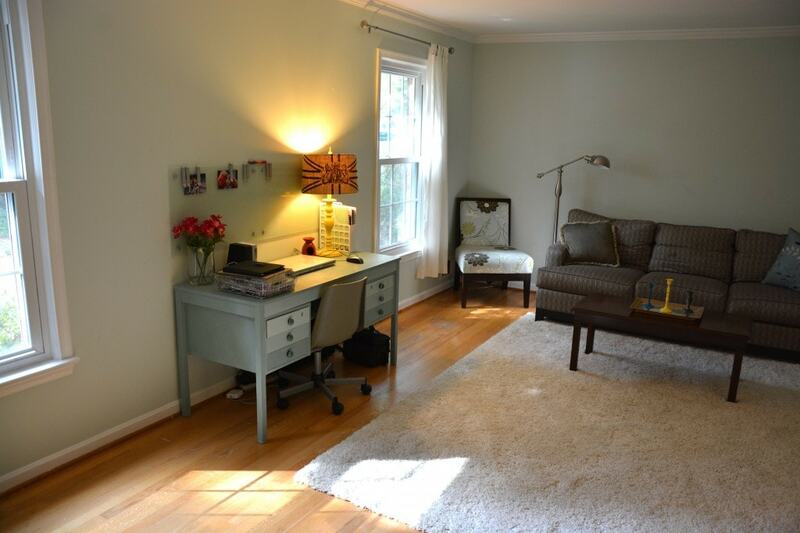 How do you keep such a clean uncluttered reading room? Sigh! OMG!! I LOVE that!! 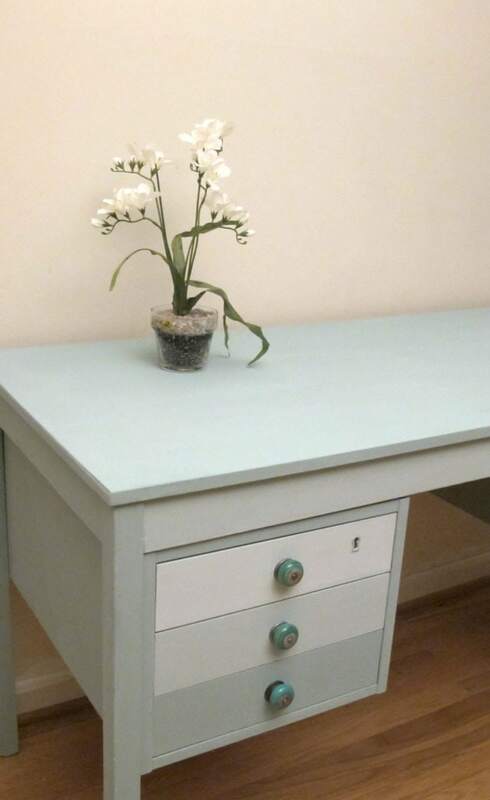 When you paint furniture, do you put some sort of clear finish on it?? Hi Kathy! Just clear wax. 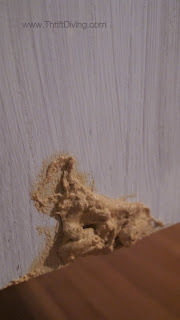 But I’ve started using this product called VAX, from Shabby Paints, and I really like it! It’s easier to put on than wax! I’m going to do a post about it soon!